Born in Turin in 1966, Alberto Marsico has played organ for thirty years. Alberto was lucky enough to attend a seven day workshop held by Jack McDuff in 1994. This was the turning point of his musical career. Jack McDuff later recorded “Jack-Pot”, a tune Alberto wrote for him, which was later issued in the album “Jack-Pot” (Red Records, Italy 1995). In 1996 he toured Spain and Portugal with Slovenian drummer Zlatko Caucic and worked with U.S. Soul and blues singers Lannie McMillan, Ollie Nightingale, Linda Young, Beverly Watson and Sharon Clark. In 1998 he stayed for some time in San Francisco, where he recorded “Hiding in Plain Sight”. He also played in the Bay Area with guitarist Anthony Paule and producer/keyboardist Jim Pugh. He later recorded his first cd as a leader for the German label Organic Music. He fulfilled one of his dreams in 2000: he played a duo concert with Deep Purple's drummer Ian Paice in Gubbio, Italy. In september 2001 he traveled to Los Angeles to record two Cds with blues guitarist Alex Schultz, singers Lynwood Slim, Tad Robinson and Finis Tasby and Canned Heat bassist Larry Taylor. In 2002 he toured Singapore and Australia with italian blues guitarist Enrico Crivellaro. In 2003 he performed throughout Europe with blues singers Tad Robinson and Finis Tasby and headed back to Asia to play shows in both Singapore and Kuala Lumpur. In 2004 Alberto was one of the headliners of the Yllas Jazz Festival (Finland) and recorded his second cd as a leader with his band, Organ Logistics. In 2005 he toured extensively in Europe with drummer Alvin Queen and saxophonist Jesse Davis. In 2006 Alberto was featured in a Russian tour with the great blues singer Brian Templeton and was invited to perform at the North Sea Jazz Festival in Holland with his band Soundsville. In autumn he recorded his third record as a leader with his band Organ Logistics and this time the wonderful saxophonist Jesse Davis joined the recording session as a special guest. 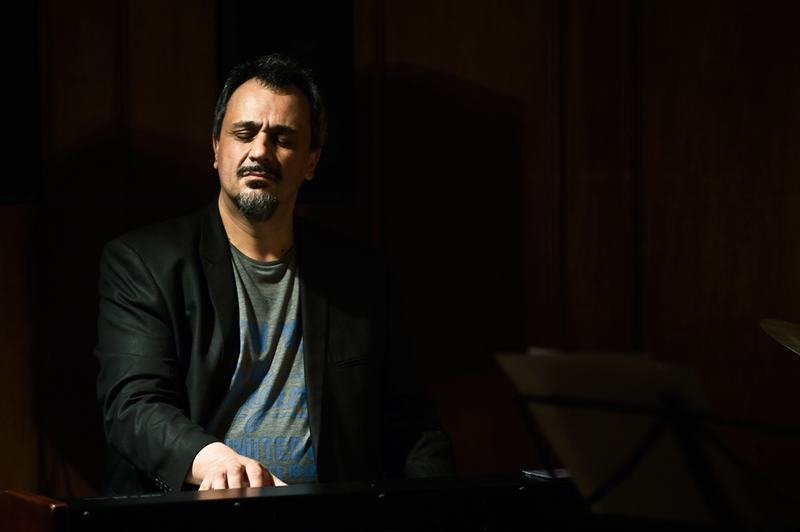 In December he shared the stage with the Joey DeFrancesco trio as a guest. In 2007 he toured with the great italian drummer Gianni Cazzola and played a duo concert with trumpet icon Enrico Rava. In 2008 he was once again in Los Angeles at the NAMM show, where he performed and presented the new Italian organ KeyB. In 2009 he extensively toured with italian trumpet star Fabrizio Bosso and recorded his first DVD as a leader, with Organ Logistics. In 2010 he recorded the CD “Spiritual” with Fabrizio Bosso , a jazz hommage to gospel music. He also toured with Jesse Davis in many Italian cities. In 2013 he was invited to join organists Tony Monaco and Jeremy Monteiro in a “World Organ Summit Tour” performed in Singapore, Hong Kong and Bangkok. At the end of the tour he recorded “Jazz-Blues Brothers” with Jeremy Monteiro at the Lion Studios Singapore. In November, the second gospel album with trumpeter Fabrizio Bosso came to life and was released by Verve Records. The title of the CD is “Purple” and was followed by European tour that reached its highest point at the Umbria Jazz Festival concerts. In May 2014 he played at the Blue Note in Tokyo and recorded ”Jazz-blues brothers” in October, which was released by Verve Records. This event was followed by a long Asian Tour in Singapore, Kuala Lumpur, Shanghai, Bangkok and Hong Kong. In February 2015 he performed at the Singapore Jazz Festival with Jeremy Monteiro. Alberto releases his sixth CD as a leader in April. The name of the CD is “ 4/4” and was recorded with his band, Organ Logistics. In November he played at the EFG London Jazz Festival at the Royal Albert Hall with Jeremy Monteiro.